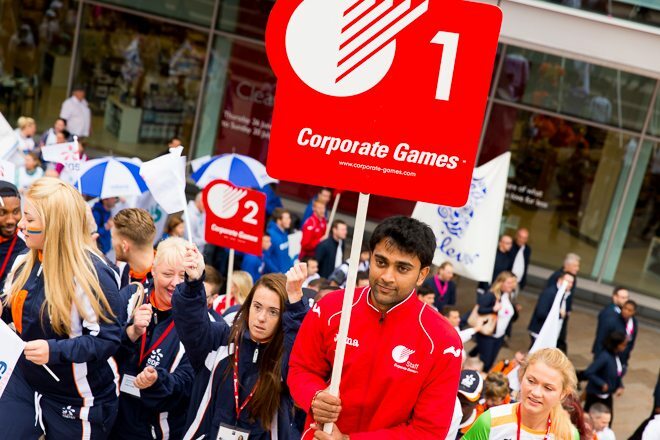 The World Corporate Games is the world’s largest annual corporate multi-sports festival where teams of colleagues from businesses come together and compete in 24 different sports, as wide ranging as Badminton, Basketball, Tennis and Tenpin Bowling, or Dragon Boat Racing, Open Water Swimming and Karting. 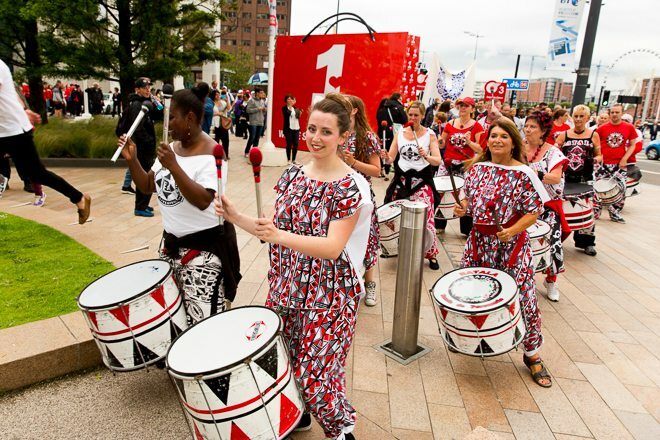 Around 2,500 competing athletes, headed by the Liverpool Batala band, paraded around Liverpool ONE and assembled at Chavasse Park . 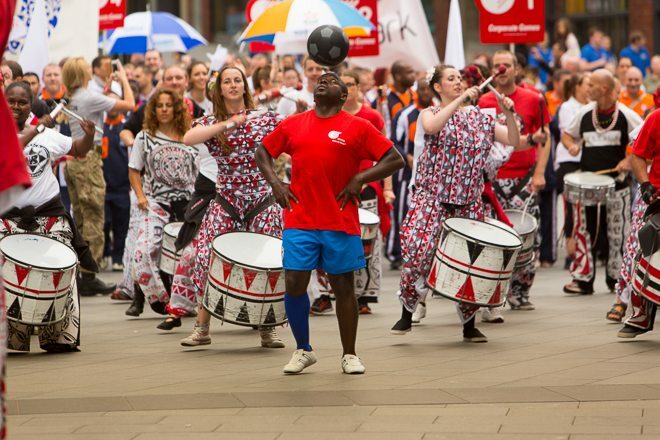 I was commissioned by Liverpool One to record the parade and to capture the atmosphere and essence of the event.